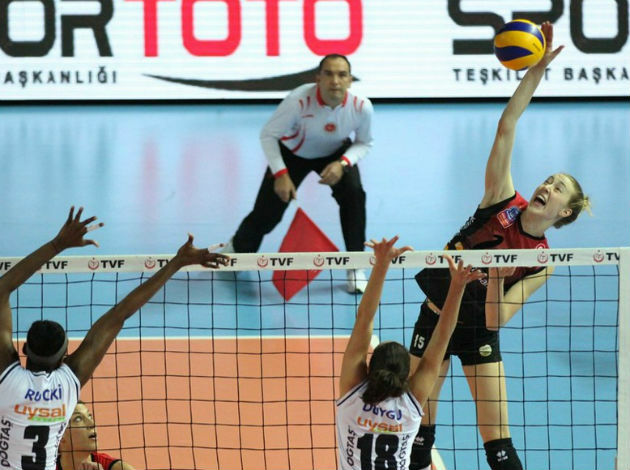 WorldofVolley :: Cansu Aydınogulları for WoV - "I am going to play in Çanakkale Belediyespor"
Cansu Aydınogulları for WoV - "I am going to play in Çanakkale Belediyespor"
Cansu Aydınogulları is ready for another season in the Turkish Volleyball elite league. She is currently on vacation and very soon she is going start with prep period for the next season. In the last season, you player in Bursa. How would you describe the performances of your team? Are you satisfied with your displays in the 2017/2018 season? You are playing at the position of setter - have you ever played any other role? How did you come to become a setter? Is there any story behind it? Have you found a team for next season? Favorite quote: Take time to do what makes your soul happy!